Mobile SEO FAQ: How Does Mobile SEO Differ From Mobile Marketing? Browse: Home » Mobile SEO FAQ: How Does Mobile SEO Differ From Mobile Marketing? Mobile SEO is a part of mobile search marketing, which is a part (along with mobile search advertising or paid search) of mobile marketing. See the Mobile Marketing Association’s Intro to Mobile Search for a good overview of how natural search fits into the overall mobile search opportunity. This mobile SEO FAQ is a work in progress that depends on community input. Please contribute your thoughts to the comments section. The body of the post will be updated periodically with the best insights, and your contributions will be recognized in the contributors section of the FAQ. Hi Bryson, once again, great initiative – our model of how mobile seo fits in with search and marketing is slightly different. Ours would show a circle with mobile search in the middle and everything else pointing out to paid search, seo, advertising, marketing, social media. Don’t you think Mobile SEO could or should be a part of regular SEO? It seems to me the question if Mobile SEO is a seperate undertaking or a part of good old regular SEO depends on whether you’re talking about optimizing a normal website or a mobile website. Maybe somewhere in the future there won’t be a difference, but now it’s still better to build optimized mobile sites right? in germany we are so late with mobile marketing. hope, that 2009 it’s will be better. This is a simple chart, but a much needed one in this industry. I agree with how you’ve classified mobile SEO. Perhaps it does, or maybe it holds a “dotted line” relationship with regular SEO. Search Engine Optimization is really an all encompassing word that describes the optimization of content for search engines. Because search engines are still search engines on mobile devices, you could argue that mobile SEO is a specific type of SEO. At any rate, perhaps it’s time for a new acronym? Hmm, comments aren’t formatting correctly, apologies for the blob above. Martijn, I definitely agree that mobile SEO should be a part of SEO as well. I don’t think that it should be exclusive, however. As I mentioned in the “what is mobile SEO?” answer, mobile SEO should be considered “a hybrid of Search Engine Optimization and of Mobile Marketing and a specific niche of both.” Also, I would argue that optimizing a desktop website for mobile is still mobile SEO, so I don’t know that the distinction is as clear. However, your point is well taken. With regards to mobile optimized sites, that’s a complicated question, but my simple answer would be yes. There are a number of reasons to build a separate mobile site, and most of them don’t have to do with mobile SEO. More on this later. Thanks for your comments! Maybe a further split can be made between tradional informational search (searching for websites using keywords) and location search (searching Maps, Google Earth). I think location based searching (searching for a restaurant in your neighbourhood) will be much bigger on the mobile platform than it currently is on the desktop. Anyway, I like this faq. I’m just beginning to see what the difference is between mobile seo and normal seo. There’s not much info online yet, and even further testing has been done (at least as far as I know). As far as I can tell certain elements are basicly the same (titletags, using keywords) while other elements are different for mobile sites (not much external linking, different keywords used). I’m interested to find out more. 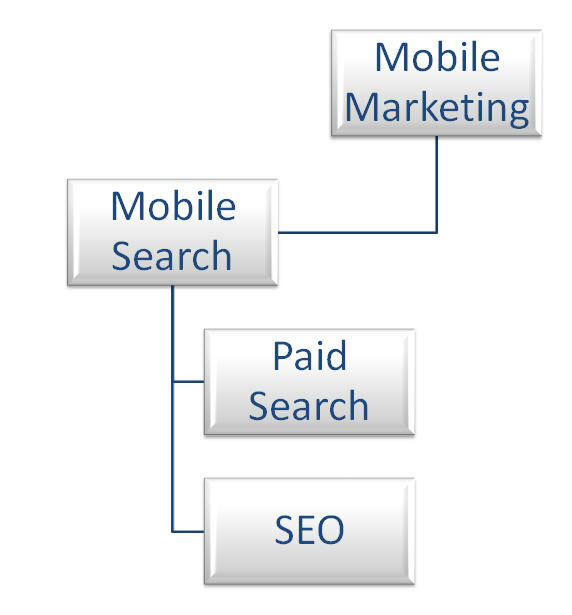 ← Mobile SEO FAQ: What is Mobile SEO?